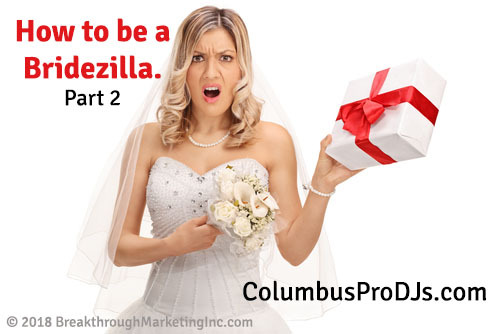 In the meantime, Columbus Pro DJs offers great online planning tools which relieves brides’ stress. It’s hard to be a bridezilla when everything is nice and easy. That’s what you get with us. Great entertainment. Nice and easy professionals to work with. And stress free planning. Why wait? Check on available dates today! 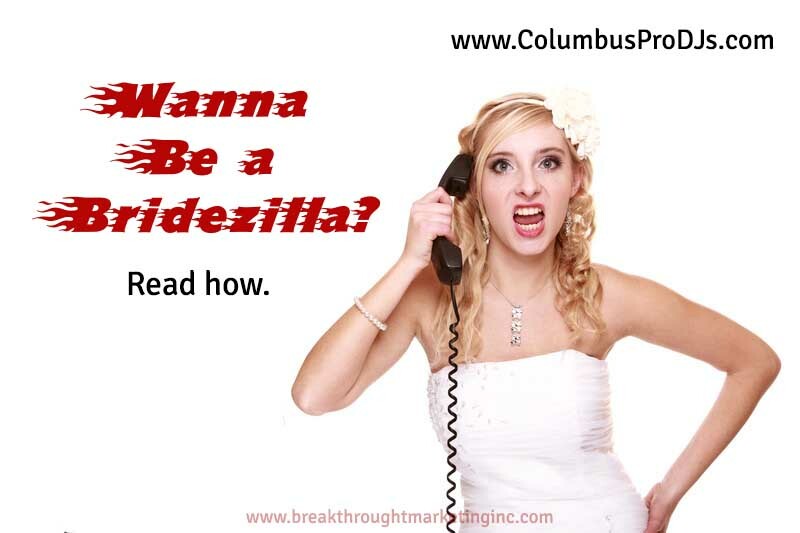 Or simply pick up the phone and call right now: 614-224-1945.